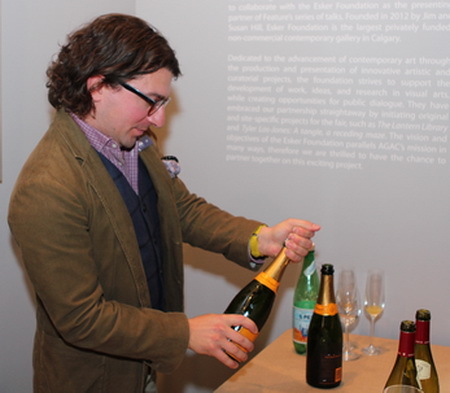 In our latest sommelier profile, Jay Whiteley, who has been the sommelier and wine director at several of Canada’s best restaurants, most recently, The Chase in Toronto, shares his favourite and weirdest food and wine pairings, as well as tips on choosing from a restaurant wine list. What was your first wine experience? Learning how to say the word Gewürztraminer. Why did you move from BC, where you were working at one of the top restaurants in Vancouver, to join The Chase in Toronto? I moved for some personal reasons, but also to learn about the LCBO distribution system. 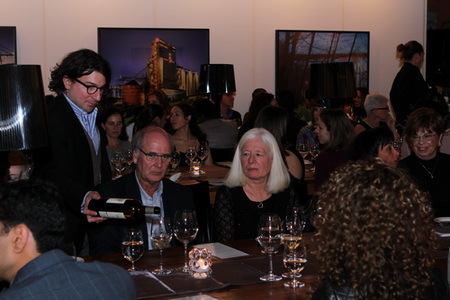 Toronto is Canada’s largest wine market and the third largest in North America. I wanted to learn how alcohol moves into and around the city and province. I was never hired as a sommelier, it was a position I worked into. I started at The Fairmont Chateau Whistler as a breakfast server and over the years, my passion turned me into the wine guy/sommelier. My first job as a titled “sommelier” was in the U.K. at The Savoy Grill, a one star Michelin restaurant owned by Gordon Ramsey in London’s Savoy Hotel. I thought I knew a thing or two about wine. I’ll never make that mistake again! It was a humbling and eye-opening experience. How did you up your game with wine professionally? I had a thirst for wine knowledge. After I moved back to Canada, I’d drive down to Vancouver every week to take the International Sommelier Guild (ISG) diploma program. In 2010, I started looking into the Master of Wine (MW) program and realized the Wine and Spirits Education Trust (WSET) Diploma was the prerequisite. So I enrolled in that program and realized just how much I enjoyed learning. Did you consider other occupations? Never. I love restaurants and the people who work in them. But if I had to choose something else, I’d be a farmer and live off the land. 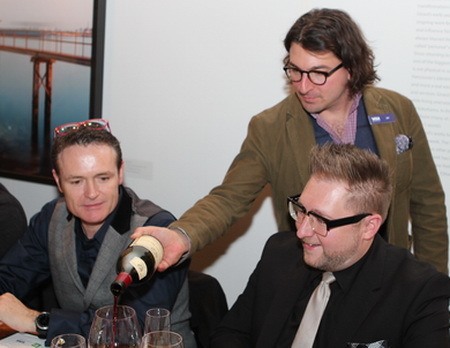 What advice would you give a young sommelier starting out? Be humble. 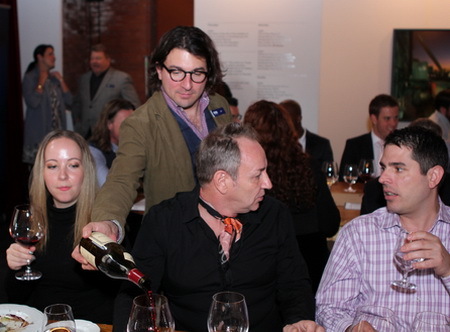 Talk to as many wine agents, restaurant guests, other sommeliers, anyone that will ignite your passion. Don’t be shy, ask all sorts of questions. Never stop asking questions. What are you passionate about aside from wine? What techniques do you use that helps you to read customers’ level of wine knowledge? I ask them which wine they last enjoyed, or which one they last bought. Increasingly, I’m also asking them which wine labels are on their smartphone. How is wine used to differentiate the restaurant? People are becoming more and more wine smart with each vintage. They are becoming more open and comfortable with what they like and don’t like, so they are willing to branch out and try something new. Wine lists, and particularly by the glass lists, need to change frequently. Most people will stop by, sit at the bar and have a glass or two. They like knowing that they have something different to try every time they drop by, and that after a few visits, they won’t get bored. Constantly updating a wine list also shows guests that you’re taking care to ensure there are never any wines out of stock, and that thought has been put into each choice. How does a wine earn a place on your wine list and how does it get dropped from the list? If the wine tastes good and has a good story behind the label, it gets on the list. It will go if I can’t get more or it is not selling. What technological advance in the wine world do you most anticipate? An accurate, real-time tracking software system that shows a case of wine’s movement from the winery to the glass. Name your three favourite food and wine pairings. Champagne goes with just about anything, but the ideal pairing for me is popcorn and a good movie. White Burgundy (Chardonnay) also has a wide range of pairings, but butter poached lobster with Montrachet and Gevrey with mushroom ragout are top pairings. As for Piedmont, nothing beats fresh pasta, tomato sauce and wild boar paired with these robust red wines. Add shaved truffles for extra decadence. What is the toughest challenge of your job? Taking monthly inventory … on New Year’s Day. What bottles would be in your dream cellar? Burgundy from small producers. They are the perfect expression of place and time and are so limited. Same for cru Barolo. How many wines do you taste each week? It ebbs and flows, but on average, about 20-35 wines a week. Around 1,700 a year. How do you pick a wine when he’s having steak and she’s having a delicate fish? In an ideal world, it would be vintage champagne, but I will always go with the wine that is pleasing to both people. Sometimes, it’s not about pairing wines, but about what the guest is in the mood for. Beyond the usual pairing guidelines for seafood/shellfish and wine, give me some of your secret tips for pairing them? Never forget about beer. It can work well depending on the preparation of some foods. What’s the toughest seafood or shellfish to pair with wine? Uni is tough because it is such a delicate fish. Most wines overpower it or get lost. For this fish, I like to use a Junmai Daiginjo sake. What do you say or do when a customer orders a wine that’s really inappropriate for the meal? Give the guest what they want. Open it as though it is as normal. What’s the strangest food and beverage pairing you’ve tried? Dark chocolate, cheddar cheese and a stout beer. It actually worked. If I had a million dollars I would….? Find an overgrown plot of obscure grape varieties in the far reaches of Spain. I’d bring it back to life, make wine and sell it to the hipsters in Brooklyn. What special bottle is in your personal wine cellar at home right now? The 1996 and 1998 Krug Champagnes. I’ll drink them side by side … sometime soon.